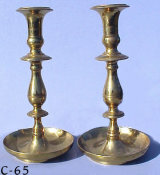 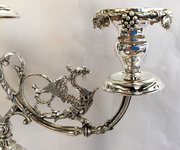 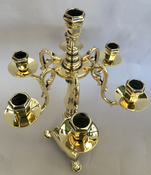 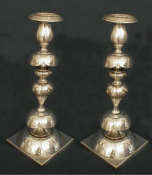 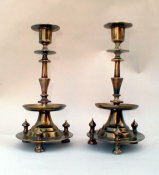 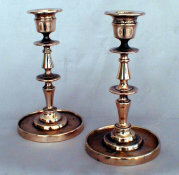 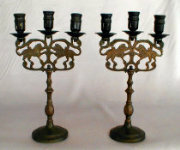 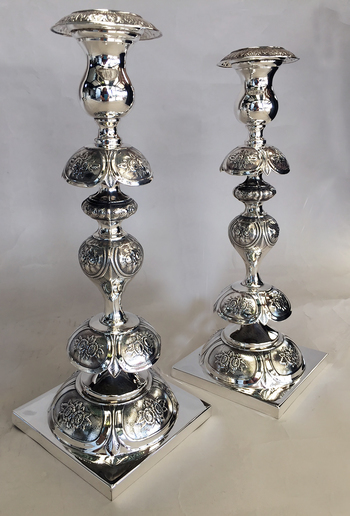 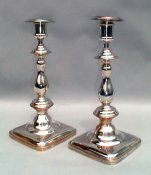 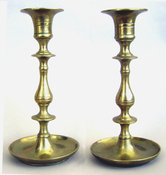 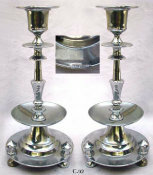 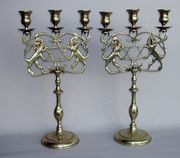 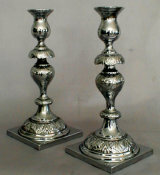 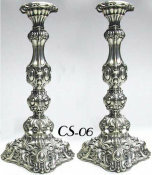 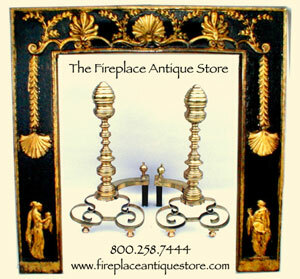 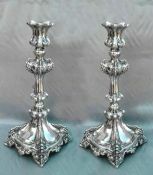 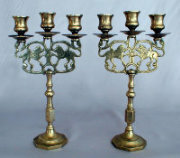 A beautiful pair of classic Polish "petticoat" style silver plated Sabbath Candlesticks. 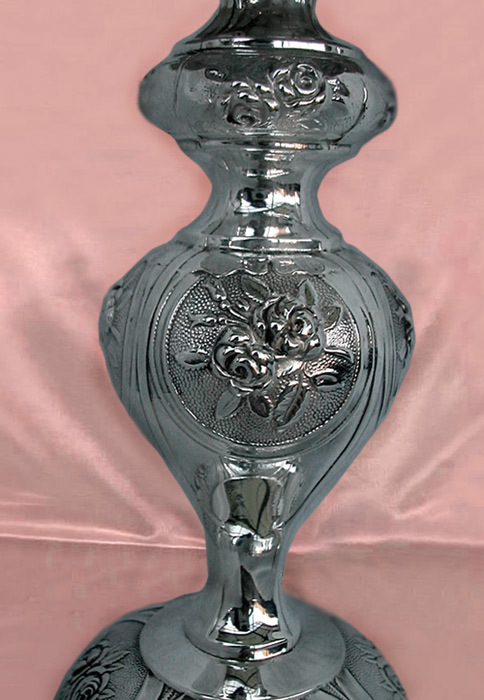 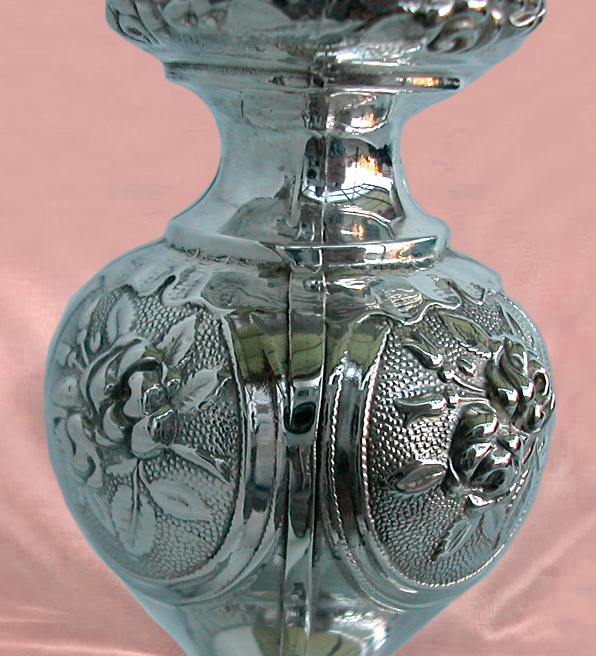 Each with a bulbous stem chased at intervals with foliate bands set on a square base. 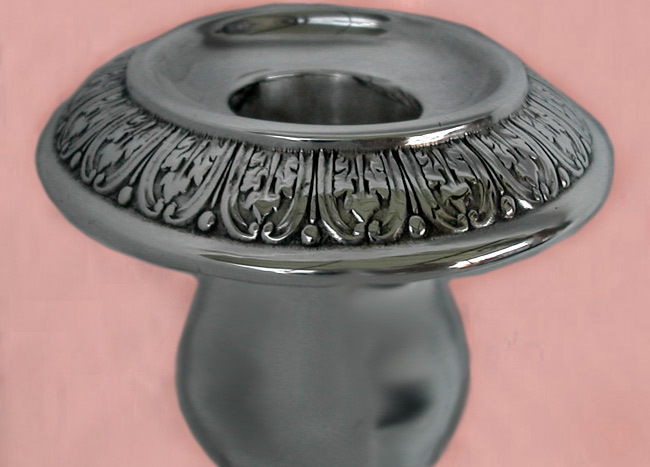 Set above and below with skirted foliate knops. 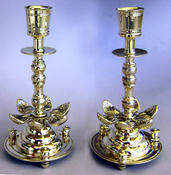 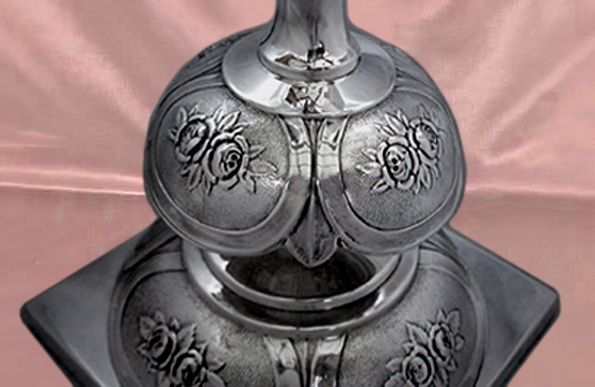 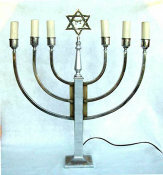 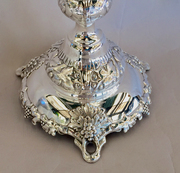 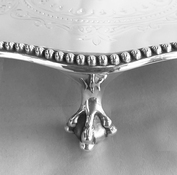 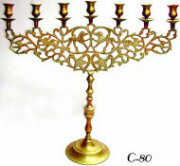 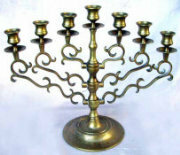 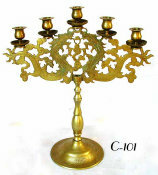 The candleholder of pear form, with detachable bobeche. 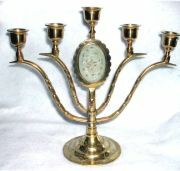 Pictured pair Marked: "Norblin & Co., GALW., Warszawa" and the Polish Eagle stamp. 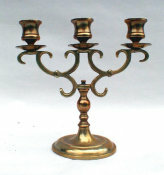 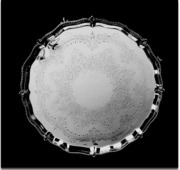 Note: We also have this style made by "Fraget" in Warsaw.